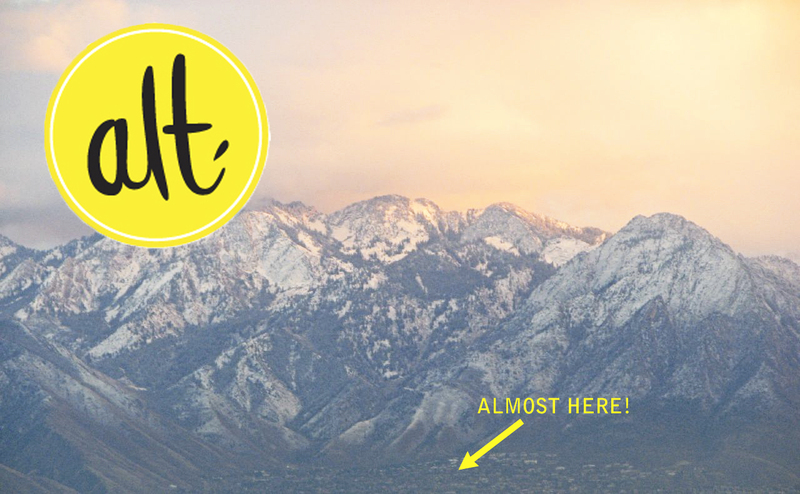 In a few short hours, I will be on my way to Alt Design Summit. What's Alt? Design. Lifestyle. Photography. Fashion. Events. Styling. Art Direction. Food. Interior Design. If you're obsessed with lifestyle, food and fashion blogs, fantastic images, smart ideas and great design inside and outside — all wrapped up with a social media bow — Altitude Design Summit is the place to be. Because we feed those obsessions. Attending Alt has been on my To Do list for the last few years. How could I pass up the chance to hear talented folks like Grace, Jenny, Nicole, Emily, and Amy speak? Or hear the fascinating story of how Ben created Pinterest. I'm looking forward to being inspired beyond imagination. Crazy talented individuals, forward-thinking corporations and sponsors, in-depth, informative discussions about all things blogging... its the perfect breeding ground for incredible ideas to happen. But beyond the fabulous parties and great food, the information I absorb and connections I make, what I'm most looking forward to is meeting those friends whose blogs I've been following for years. Do you feel that way... that if you met some of your favourite bloggers in real life you would have an instant connection? You'd give each other hugs, trade stories about how the kids are doing, ask how the renos are coming along. We readers get so invested in bloggers' lives, don't we? I hope to share some of what I learned at Alt with you too so watch for posts in the coming weeks. I'm off now to cuddle my girl - this will be the longest time I've ever spent away from her and from HandyMan since we met! Oh, I'm already a puddle of mush and I haven't even left yet. This blog goes straight into my bookmarks!